Happy Cinco de Mayo! 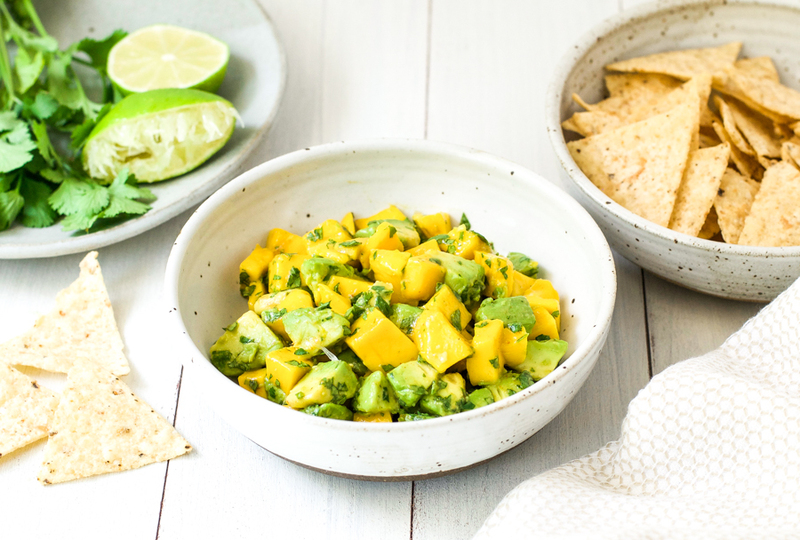 What better way to celebrate than with some sweet and spicy mango avocado salsa. When I first came to Los Angeles, my experience of Mexican food was stodgy rice and melted cheese. But over the years, I have come to appreciate its fresh and diverse flavors and textures. 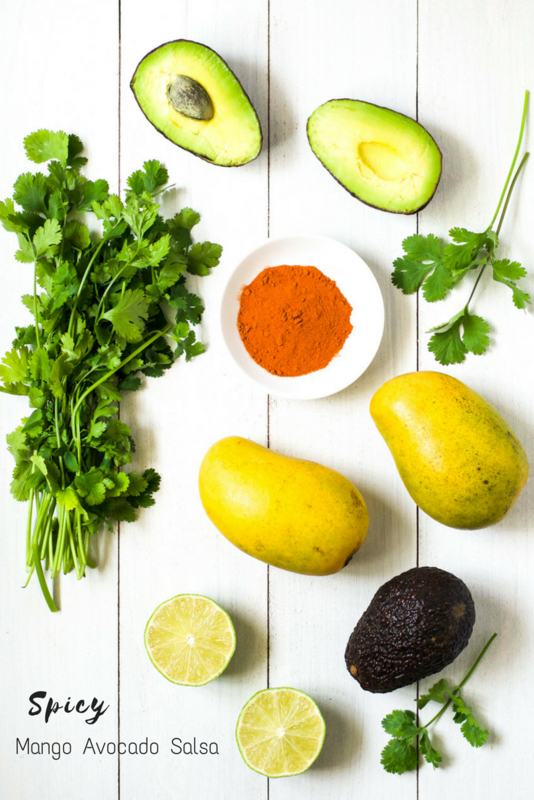 This salsa is a wonderful combination of spicy chili, sweet mango, and creamy avocado with fresh lime and cilantro. It pairs perfectly with fish tacos, and makes a great dip with tortilla chips. 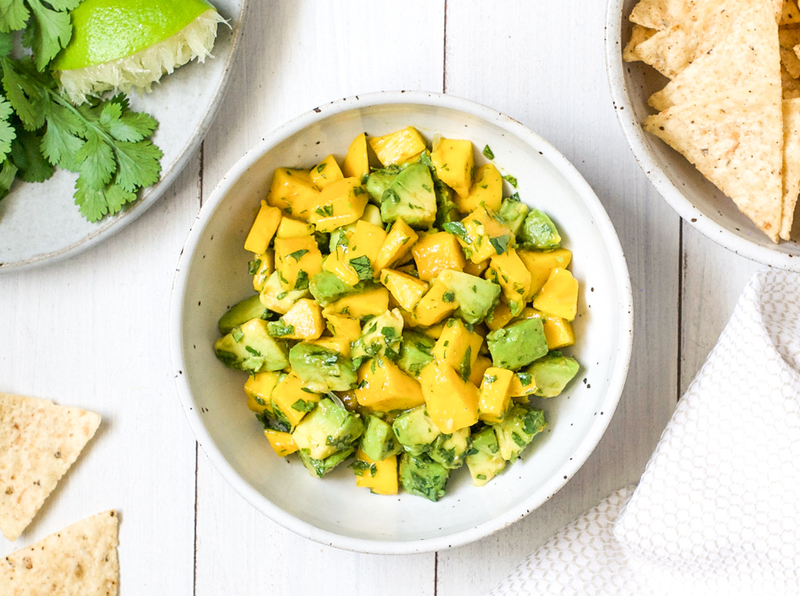 This mango avocado salsa is made from just 5 ingredients and only takes 10 minutes to throw together. And taste isn’t the only thing it has going for it. One serving (about 1/4 of the recipe) contains more than 1/2 your daily vitamin C, 1/5 of your daily vitamin A, and 15% of your daily fiber needs. So you can feel virtuous as you tuck into this delicious dip. 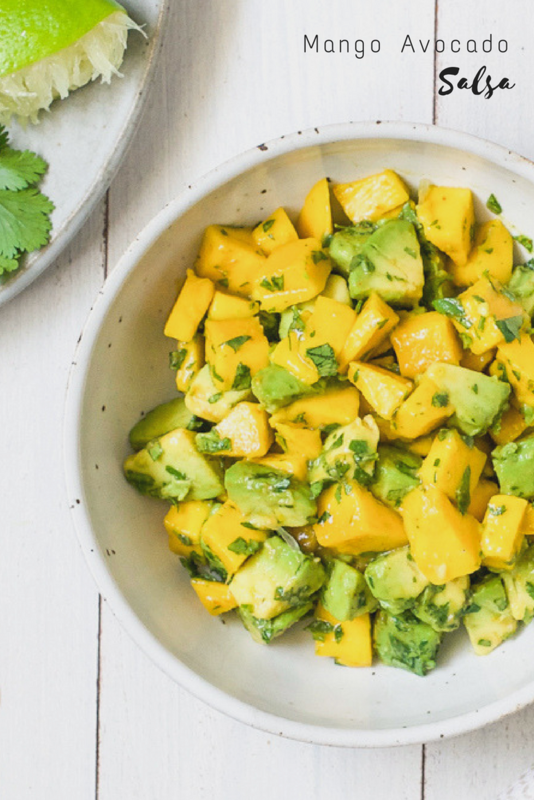 In a large bowl, put the avocado, mango, lime juice, cilantro, cayenne, and salt. Stir carefully so as not to squash the avocado. Serve on your favorite tacos, or as a dip. Yum! I’m going to be making this soon! It looks delicious – beautiful pictures. Thank you Anne 🙂 I hope you like it.